According to the World Federation of the Deaf (WFD), approximately 80% of deaf people live in developing countries. Only about 20% of the world’s deaf population receives any education at all, and only 1% receives education in sign language. 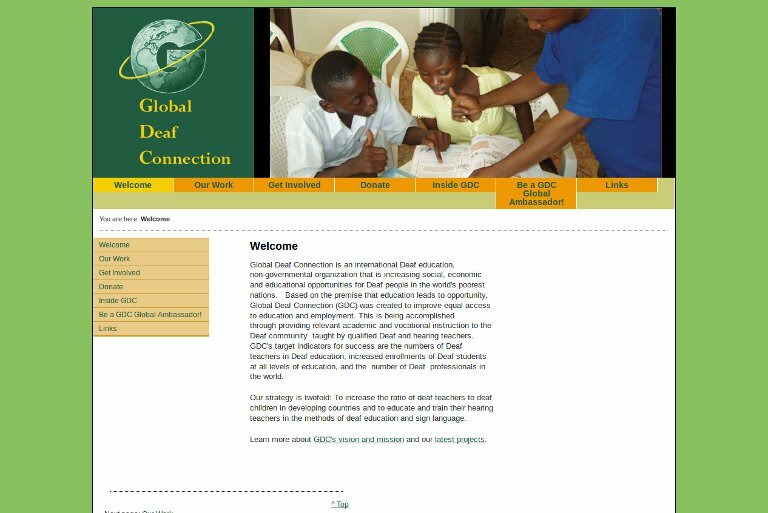 Through the work of Kevin Long’s organization, Global Deaf Connection (GDC), students are encouraged to gain higher education and become trained professionals. They are then linked with deaf education professionals as mentors. By tapping into resources from developed nations, mentors are placed with hearing teachers to train them in sign language and deaf education teaching techniques. Finally, GDC partners with the government to provide deaf professionals with employment opportunities to alleviate the dependence on outside resources. The support cycle goes beyond increasing the effectiveness of deaf students’ education. Long is aware that there are still barriers and cultural stereotypes that prohibit deaf students from becoming active professionals in society. GDC has also created a College Support Program to assist deaf students through higher education.This shift will highlight the potential of deaf people, which will have a positive effect on the national economy.